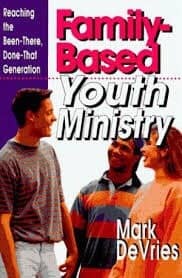 The first family ministry book I ever read was Family-Based Youth Ministry by Mark DeVries. My first response was to reject family ministry as a preposterous idea in my particular context. It took two years for the struggles of ministry and the work of the Holy Spirit to change my mind. About sixteen years ago, I was called to oversee educational ministries in a growing church in Oklahoma. I’d spent the previous three years as the youth minister in this congregation; now, I oversaw the church’s youth and children’s ministries. A few months after the new youth minister began his duties with us, he traipsed into my office carrying a book with a cover that might have looked trendy a decade earlier. “I’ve been reading this book,” he said, “and I really think we need to look into trying family-based ministry. This is what our students need.” He held up a copy of Family-Based Youth Ministry and began outlining what he had learned. I read most of Family-Based Youth Ministry and then shelved it. I had completed a bachelor’s degree in biblical studies, a master of divinity, and a doctorate in leadership—but I had never been assigned a book about family ministry. And so, I did find the book enlightening. Still, I knew this model could never succeed in our context. If God ever called me to serve in an upper-income suburban church, maybe I would pull this book off the shelf again—but not here, not in this low-income exurban neighborhood, blighted with methamphetamine labs and abandoned trailer houses. 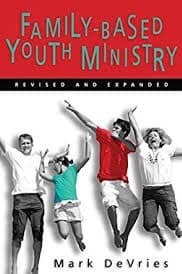 I had tried intergenerational activities with mixed result when I had been the youth minister—but there was no way that such an approach could possibly work here in this place as a comprehensive approach to youth ministry. A couple of years later, much had changed. The church’s context was the same as it had always been, but I had recently transitioned into the role of senior pastor. Looking at the church from this new angle, I was concerned as I saw fault lines emerging between generations. What’s more, the church had continued to grow, and it was becoming painfully apparent that the ministry staff needed more volunteers to be able to disciple people effectively. A lot of factors came together for me that year. One of them was a recognition that God had designed the family to make disciples and that we needed to partner with parents to disciple the next generation. Soon, I began to evaluate the church’s ministries from this perspective. 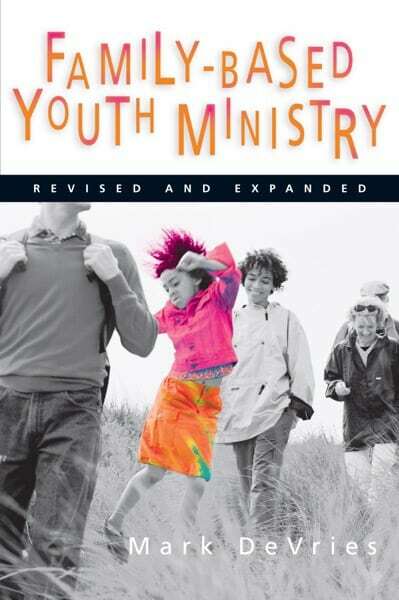 In the process, I remembered a book that I’d skimmed a couple of years ago entitled Family-Based Youth Ministry. Throughout the next three years, I implemented more and more intergenerational activities and parent-equipping ideas. I worked with intact families to develop discipleship structures for spiritual orphans. By the end, many of these practices metamorphosed into the patterns I later described as “family-equipping ministry” in my book Family Ministry Field Guide. But, at first, nearly all of my ideas came from a book that I’d shelved as impractical a few years before. I wasn’t trying to be trendy—and I still hadn’t heard of any movement toward family ministry. I was simply desperate to draw the generations together in my church and to see children and youth discipled. It was around this time that I started another level of doctoral studies at The Southern Baptist Theological Seminary. Through texts assigned in a student ministry course, I discovered I wasn’t the only one wondering how to partner with parents to disciple children and youth. Chap Clark had already sketched out some rudimentary models of family ministry, “inclusive-congregational ministry” was making an impact in South Africa, and discussions about “family-integrated churches” had already been unfolding for a few years. As I learned more about family ministry, I began to implement more intergenerational opportunities and parent-equipping practices in my church. In 2007, Dr. Randy Stinson—at that time, dean of the School of Leadership and Church Ministry at Southern Seminary—asked if I might be interested in teaching family ministry. His passion was to make family ministry part of the training of every student who graduated from Southern Seminary. By the end of that year, Dr. Stinson and I had partnered with leading family ministers throughout the United States to pioneer a model of family ministry that would become known as the “family-equipping model.” It quickly became apparent that family ministry wasn’t merely a passing fad; family ministry was becoming a global movement that was bigger than any one of us. I don’t want to give the false impression that family ministry is a new concept that emerged in the late 1990s. Much of what Focus on the Family did in the 1970s and 1980s could be considered to be a form of family ministry. Charles Sell and Diana Garland were researching and writing about family ministry throughout the 1980s and 1990s. In the early 1990s, the Gheens Center for Christian Family Ministry began publishing The Journal of Family Ministry. (1) Stronger emphasis on parental discipleship of children: The focus of family life education had been on promoting healthy marriages and parenting practices; a primary emphasis of the faith-at-home movement has been on the development of discipleship habits in Christian households. (2) Stronger emphasis on changing church organizational structures to cultivate intergenerational connections: Family life education tended to work within organizational structures that separated participants according to age and interests; a primary emphasis of the faith-at-home movement has been the coordination (or, in the case of family-integrated churches, the elimination) of age-organized structures. (3) Stronger emphasis on theological foundations: Family life education texts frequently began with social-scientific foundations; a primary emphasis in the faith-at-home movement has been the development of ministry models beginning with biblical and theological foundations. I would suggest that these distinctions have been due primarily to the very different origins of the two movements. Family life education can be traced back to social systems outside the church—nineteenth-century family-improvement societies and twentieth-century social work programs. The faith-at-home movement, however, emerged from within the church. In some ways, the faith-at-home movement seems to have developed as a corrective to the shortcomings that marked many twentieth-century youth ministries: segregation of youth from the intergenerational faith-community, marginalization of parents, and programming that was shaped more by pragmatic focus on numeric growth than by Scripture and theology. Whereas family life education was shaped by systems external to the church, the faith-at-home movement grew from within the church due to discontent with the age-segmented, event-driven programs that dominated youth ministry in the late twentieth century. Ron Hunter led the launch of the D6 Conference in 2009. Around 1,400 attendees heard the faith-at-home message in Dallas at that first D6 Conference. Over the next several years, more than ten thousand participants attended D6, and this yearly gathering developed into a catalytic conference for faith-at-home leaders. As an author and conference speaker, I’ve been privileged to participate firsthand in many of the recent developments in the faith-at-home movement. Dozens of much-needed faith-at-home books have flooded the shelves during this time. Brian Haynes’ The Legacy Path has provided parents with an intentional plan for the discipleship of children, with milestones that mark each stage of their growth. Rob Rienow (Limited Church: Unlimited Kingdom) and Tim Kimmel (Connecting Church and Home) have provided practical strategies for partnerships with parents. Marty Machowski has filled a gap in quality family devotional resources with his books Long Story Short and Old Story New. My book Perspectives on Family Ministry identified three distinct ways that churches pursue faith-at-home ministry; Family Ministry Field Guide explored why parents don’t disciple their children and how churches can change their culture to equip parents for this task; and, Trained in the Fear of God articulated biblical and historical foundations for family ministry. So, with all these resources available, what else is there to say? I have crisscrossed five countries over the past few years, speaking to thousands of people about family ministry across three continents. In the process, I’ve glimpsed at least three gaps that still remain even among the people most committed to family ministry. (1) The faith-at-home movement has flourished in contexts that are far whiter and wealthier than the world as a whole. God’s vision for His people is “a vast multitude from every nation, tribe, people, and language” with the walls broken down between them on the basis of the broken body of Christ (Ephesians 2:13-17; Revelation 7:9). Yet most of the churches that have successfully implemented family discipleship practices remain white and suburban. I’ve led family ministries in a multiplicity of low-income contexts, and I am mentoring doctoral students who are studying family ministry models in Korean and Hmong communities—but all of these projects are tiny drops in a vast bucket of need. We desperately need to know what effective faith-at-home ministries might look like in the inner-city congregations, in rural family chapels, in African American churches, among Native American peoples, and with first- and second-generation Hispanic believers. (2) Parents need to be trained to equip their children to defend their faith in an increasingly hostile context. Apologetics resources for children are only beginning to be widely produced. Nearly all of the apologetics resources for teenagers are designed to be taught at church, not at home. With the rapid growth of Islam and in a culture that increasingly demands not merely the toleration but the celebration of sexual immorality, children must be able to defend their faith—and the persons who are in the best position to equip children are their parents. Their parents are, after all, the ones who spend time with them day-by-day and who usually hear their questions first. That’s why I am increasingly turning my efforts toward the development of apologetics strategies and content to train parents to equip their children to defend the Christian faith. (3) Churches will slip back into previous unhealthy patterns unless they develop new approaches to support generational integration and family discipleship. In some cases, churches have spent so many years segregating generations and trying to disciple children without parents that they don’t know what else to do. They need ideas for different approaches to the ministries they have been doing for decades. I have suggested here and elsewhere that two key dynamics must characterize healthy faith-at-home ministry: family-as-church and church-as family. The goal of the family-as-church dynamic is to equip parents to disciple their children in the context of their daily lives together. What this means is that Christian households become living microcosms of the larger community of faith as families learn and live God’s Word together. Great Awakening pastor Jonathan Edwards described the Christian household as “a little church” and declared “the head of the family has more advantage in his little community to promote religion than ministers have in the congregation.” The thought that parents must be primary disciple-makers in their children’s lives did not, however, originate in the Great Awakening! This expectation is woven throughout the pages of Scripture (see, for example, Exodus 12:25-28; Deuteronomy 6:6-7; 11:1-12; Psalm 78:1-7; Ephesians 6:4). Yet, in many churches, church leaders have not equipped or even acknowledged parents as primary disciple-makers in their children’s lives. Packed rosters of age-segmented activities coupled with silence regarding parents’ responsibility to disciple their children have contributed to the unspoken assumption that the Christian training of children is best left to professional ministers. As a result, Christian parents desperately need focused guidance to know how to follow God’s design. Family-as-church ministry contributes to this reorientation by training parents to function as primary disciple-makers in their children’s lives. The goal of church-as-family is to help God’s people relate to one another more like a family. What this means is that the church nurtures members within a rich matrix of multi-generational relationships. Children and teenagers whose parents aren’t believers find their lives intertwined with mature men and women who become spiritual parents and grandparents. Married couples mentor singles. New parents learn child rearing from empty nesters. The entire congregation works together to meet the needs of widows and orphans (James 1:27). Church-as-family ministry clearly recognizes that, inasmuch as I am a follower of Jesus, my family includes anyone who does the will of my heavenly Father (Mark 3:35). In church-as-family ministry, the church draws people together in a multi-generational family reunion—except that the purpose of this reunion is far greater than enduring a picnic with people we can’t stand for the sake of pleasing our earthly parents. That is why the Holy Spirit of God, speaking through the words of Scripture, specifically calls for close multi-generational connections among God’s people (Titus 2:1-5). Jesus has bonded believers together by breaking the barriers between them on the basis of his own blood (Ephesians 2:14-15). As a result, those who rub shoulders in the shadow of the cross should be precisely the people that the world would never dream of mingling together—including brothers, sisters, fathers, and mothers from many different ethnicities and generations and socioeconomic strata. These are not issues of preference or convenience. They are issues of faithfulness to God’s design for his people, and they are rooted in the gospel itself. So which of these two dynamics should your congregation embrace? Here’s one way to answer this question: When you’re flying an airplane, which wing is more important—the right wing or the left wing? This twofold approach is the foundation for comprehensive faith-at-home ministry—ministry that coordinates the God-ordained function of the Christian household with the church’s role as a Christian’s first family. Alone, either dynamic becomes unhealthy. Together, these two dynamics help the church to leave behind the segmented programmatic approaches that segregate the generations and fail to equip parents to disciple their children. Church-as-family and family-as-church are radically counter-cultural dynamics. Particularly in Western culture, people cluster together according to peer groups and personal interests, so church-as-family doesn’t happen easily or naturally. Parents tend to turn over the shaping of their children’s souls to trained professionals, so family-as-church doesn’t come easily either. But efficiency and ease are not the goal of gospel-motivated ministry. Conformity to the character of Jesus Christ—the one through whom the first family was formed in Eden and the one who is bringing together a new family even now on the basis of his own blood—is our goal, our purpose, and our ultimate objective. 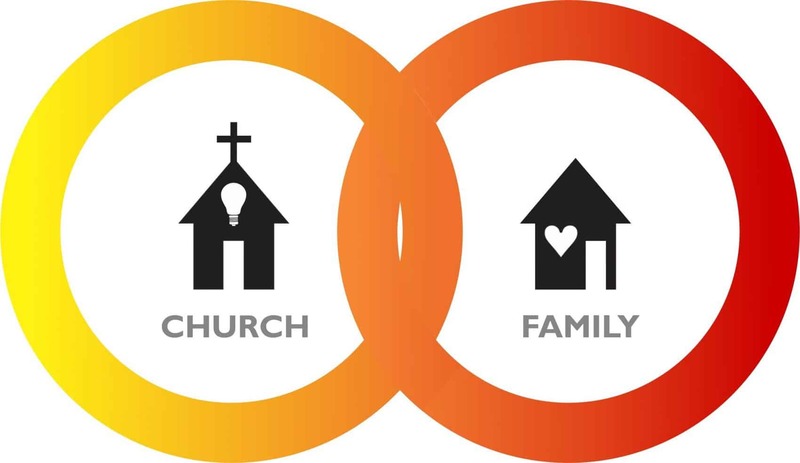 Which of these two dynamics does your church do most effectively—church-as-family or family-as-church? What could you do this week in your church to strengthen the weaker of the two dynamics?